Not commonly known or considered, silver actually comes in many compositions. "Sterling Silver", also known as "Standard Silver" (because it is the standard for fine jewellery) is not pure silver. Rather it is an alloy comprising of 92.5% pure silver and 7.5% of other metals (usually copper) ~ and is often referred to as having a 92.5% fineness, or more accurately, millesimal fineness. 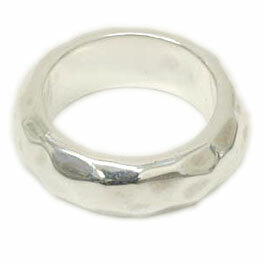 Sterling silver is one of the whitest metals - whiter than white gold or platinum. But it does need to be polished as it tarnishes. It is harder than pure silver. When silver is alloyed with copper, it gains hardness and strength while preserving it's ductility (i.e. non-brittleness). It also has a lower melting point (893°C) then either pure silver or pure copper. Other metals are used in lieu of copper for improving other properties like reducing casting porosity, eliminating firescale, &/or to increase its resistance to tarnish. Other metals that may be used in place of copper are germanium, zinc, or platinum. Additives like silicon and boron may also be used. In recent years, a number of different silver alloys have appeared claiming more firescale and/or tarnish resistance. There is much competition between manufacturers but no industry leader has yet emerged and this area continues to be a very active development area. In USA, sterling components and jewellery are often stamped "Sterling". For international trade, it is often quality marked "925". "Fine Silver" has 99.9% silver - i.e. 999 purity fineness. However this is generally too soft for making large functional objects. "Britannia Silver" is a hallmark-quality standard silver alloy with 95.8% silver - higher fineness than Sterling. It is often used in making silver tableware and wrought plate. "Coin Silver", which is used in some countries. They are marked "900" or "800" depending on fineness (silver content). There are some 'silver' markings that are quite deceptive so it would be advantageous to know what they are. "Mexican Silver", "German Silver", "Indian Silver", "Montana Silver", or simply "Silver" may not have any silver content at all!! "German Silver" - also commonly called "Nickel Silver" - is actually an alloy of copper, nickel, and zinc. It contains no silver at all. Some countries actually require jewelry made from precious metal to be submitted to a governmental assay office for destructive testing before it can be quality marked and sold. Nitric acid is used to easily test sterling silver. Silver plated brass, nickel silver, and other low quality silver turns green on application of a drop of nitric acid. Sterling however will turn a creamy colour. If a good/item is suspected of not being sterling, a small file can be used to cut through any plating or lacquer in an unobtrusive part of the suspect item. Though some countries (like European countries) require that precious metal, after testing, be quality marked (e.g. "925" for sterling) - not all sterling jewelry is thus marked. There are many reasons for this. In USA, their Federal law does not require precious metals to be quality stamped. However if it is quality stamped, then US law requires a maker's mark on the item as well. A maker's mark can be in the form of a hallmark or a registered trademark. This can be very expensive. In USA, registering a trademark can cost over US$1,000. Hence the maker may decide not to spend the money to acquire a legal hallmark. Many small time artists usually cannot afford this and so their work are not trademarked. To get around this, many individual artists stamp a quality mark together with their name or initials. This satisfies the accountability which is really at the heart of the US stamping act. However it is not considered legal. Next, the size and design of some jewellery pieces do not lend themselves to quality marking. 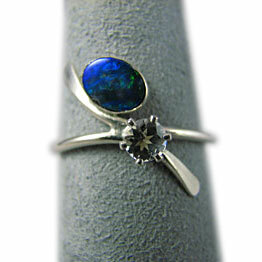 Many small sterling silver findings and components are hence not quality stamped. It is then up to the final artist or assembler to attach a mark like a chain tab to the finished piece if they so choose. Despite recent silver price hikes , silver is still the most economical precious metal for jewelry. And while silver jewelry consumption is still heavily skewed towards western markets, it has invariably pushed fabrication higher in top jewellery manufacturing centers in Thailand, India, Italy, and China. Globally, silver consumption for jewelry making is twice as much as that for gold. And both of these individually have higher consumption in the industry than platinum or palladium. Silver oxidises over time, turning black when affected by oxygen and light. Rhodium-plating your silver pieces will make it more durable and tarnish-resistant. A much cheaper and common way is to polish your silver regularly with a silver polishing cloth. Keeping your silver pieces in certain plastic bags will also help retard tarnishing. As an interesting side note, there may be people who are like my sister ~ when she wears sterling silver, even tarnished silver, the tarnish actually disappears! She is a natural silver polisher!! Maybe you are luckily 'affected' the same way!